Now that the kids are back in school, parents' mornings have become more hectic than ever. So hectic, that giving kids a nutritious breakfast is often low in the priority list in the morning. However, the below infographic might help you change all that. 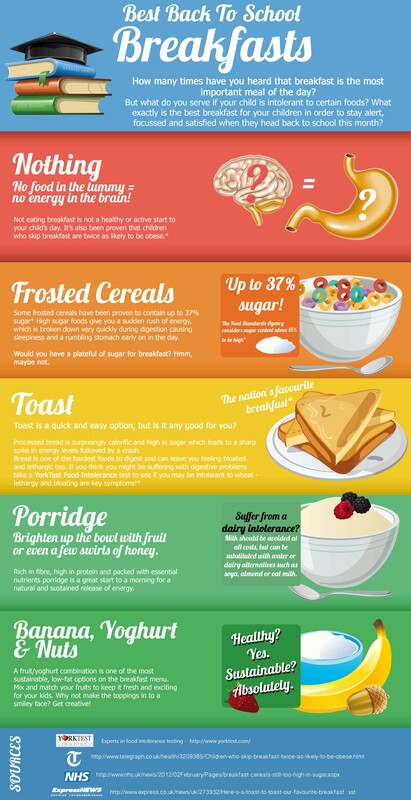 According to the infographic, the best before-school breakfast is a combination of yogurt, bananas and nuts. The meal is nutritious and will sustain your kids until lunch time. You can also switch up the fruits to continue giving them variety and a bit of fun in the morning. 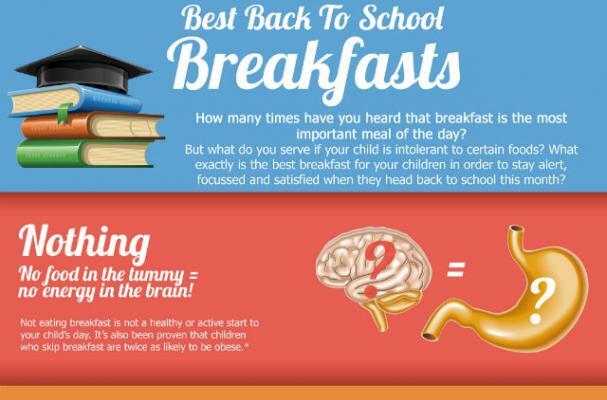 Learn more about back-to-school breakfasts in the infographic below.